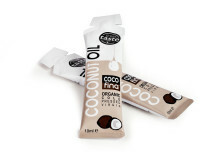 Developed to fulfil demand for snack bars that aren’t loaded with sugars and preservatives, Cocofina bars were first refined by founder and coconut expert Jacob Thundil in his kitchen at home. The result was the first of the three available bars, the pre-workout organic coconut and date snack bar. Cocofina uses the white flesh of the coconut in keeping with the brand ethos to maintain a sustainable approach to minimising food waste. Each snack bar is UK Soil Association approved, containing no additives or artificial ingredients and 100% organic, vegan and vegetarian friendly. 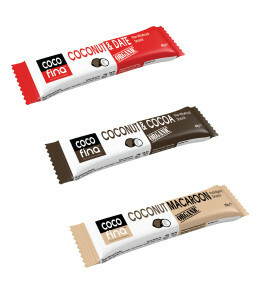 Aiming to provide low calorie indulgence, the bars currently come in three varieties: Organic Coconut and Date, Organic Coconut and Cocoa and Organic Coconut Macaroon. Cocofina won seven Great Taste awards in 2015, and the brand is now sold in 3000 speciality and healthy outlets in the UK and 21 countries worldwide. The Vendies is back and ‘open’ for entries!